Investigators say 19-year-old Kyren Stackhouse and a known juvenile tried to rob a 21-year-old in the parking lot. During the attempted robbery, a struggle over the juvenile's gun happened and a single shot was fired. The shooting happened around 7 p.m. on Jan. 4 in a parking lot outside a fast food restaurant in the 6200 block of Lapalco Blvd. MARRERO, La. 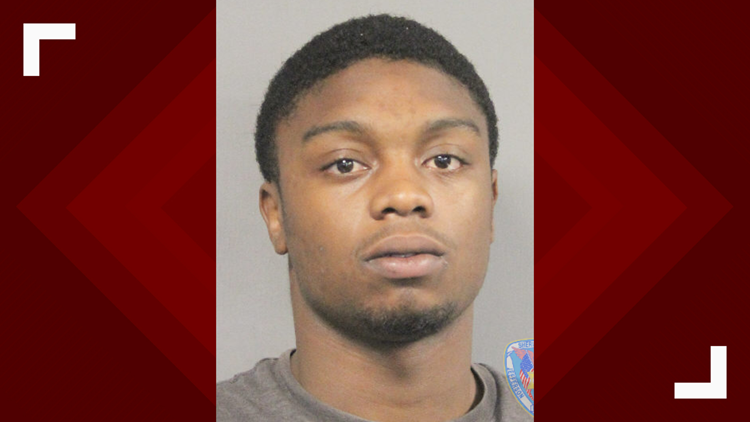 — Deputies are searching for a man wanted in connection with an attempted armed robbery and shooting outside a Marrero restaurant earlier this month. According to the Jefferson Parish Sheriff's Office, the shooting happened around 7 p.m. on Jan. 4 in a parking lot outside a fast food restaurant in the 6200 block of Lapalco Blvd. The single gunshot struck the robbery victim's 20-year-old girlfriend in the thigh and arm. Anyone with information about Stackhouse's whereabouts is asked to contact JPSO Sgt. Donald Clogher at the Investigations Bureau at 504-364-5300. Residents can also report information to Crimestoppers at 504-822-1111.